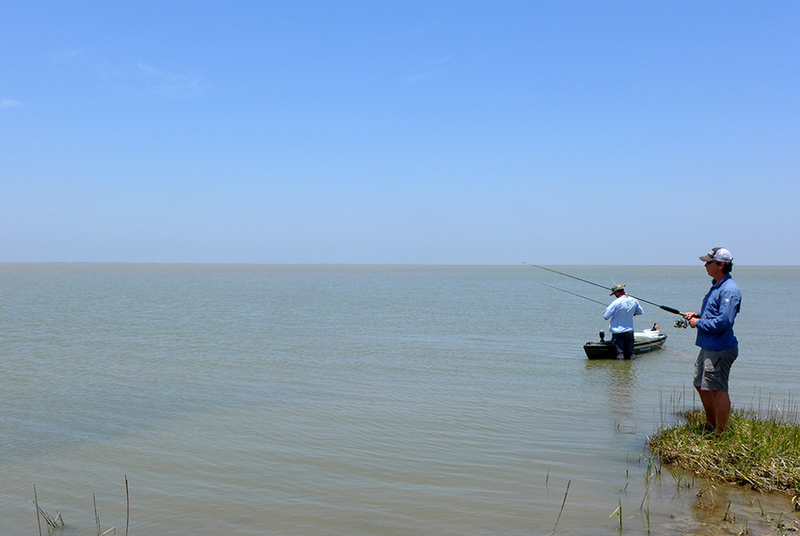 The Lower Colorado River Authority has concluded that its new southeast Texas reservoir won't hurt aquatic life downstream in Matagorda Bay, but the organization is refusing to release the data behind that contention. The Lower Colorado River Authority says a $255 million reservoir it is building in southeast Texas won't reduce freshwater flows into Matagorda Bay enough to hurt aquatic life, but the organization is refusing to release the hydrological modeling that led to it that conclusion. The authority — the largest water and power supplier in Central Texas — has told the Matagorda Bay Foundation it can't have the information and asked state Attorney General Ken Paxton for an opinion shielding the data from the state's open records laws. If Paxton agrees, the nonprofit foundation says it may sue to get it. The LCRA broke ground on the Lane City Reservoir a year ago after its board set a goal of adding 100,000-acre feet to the amount of water the authority can supply. The 40,000-acre-foot lake, being built just off the Colorado River about 60 miles southwest of Houston, is supposed to ease demand on the authority's other reservoirs, including Lake Travis, Austin's main water supply. The LCRA has touted it as the first new reservoir to be built in the lower Colorado River basin in decades. The LCRA's construction permit, which Powis obtained earlier this year through an open records request to the Corps, made no mention of the modeling, she said. Three weeks after Powis submitted her request, the LCRA asked Paxton's office for an opinion on whether it has to provide the modeling. The authority argued that making the data public would violate attorney-client privilege. It also claimed the information is exempt from disclosure as internal communication regarding policymaking, or a pending — or threatened — lawsuit. Two legal experts who reviewed the LCRA’s appeal to the attorney general at the Tribune’s request agree that cited exemptions shouldn't be applicable to the modeling and that the authority appears to be circumventing the public information act. And the agency can't withhold public records just because it fears a lawsuit, he said. The threat of a lawsuit over the project has to be imminent and objectively provable, he said. "No lawsuit has been filed regarding the Lane City Reservoir project," said Tuma, the LCRA spokeswoman. The “deliberative process” exception, which exempts from disclosure communications regarding policymaking, also doesn’t apply because the modeling “was put together to provide the authority with the factual basis to make public policy decisions,” Larsen said, describing it as the "most abused" exception to the state's Public Information Act. Even if the LCRA has the legal authority to withhold the modeling, it shouldn’t because the public has a right to know the project's potential impact, said Amy Hardberger, an associate professor of water law at St. Mary’s University School of Law in San Antonio. Disclosure: St. Mary's University School of Law is a corporate sponsor of The Texas Tribune. The Lower Colorado River Authority was a sponsor in 2013. A complete list of Tribune donors and sponsors can be viewed here.